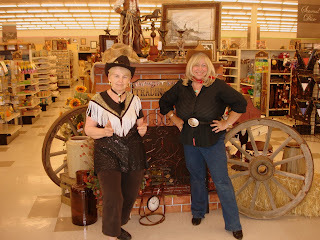 The Mauzy Family: Good Looking Cowgirls! My mom at work with her good friend Silvia. 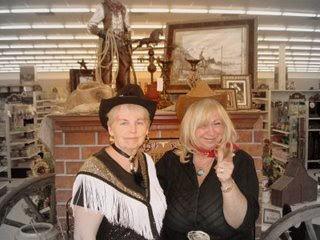 They had a 'Cowboy Day' where they were required to dress up!